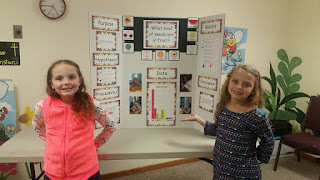 Simply Knowledge Homeschool: To Co-op or Not to Co-op??? To Co-op or Not to Co-op??? 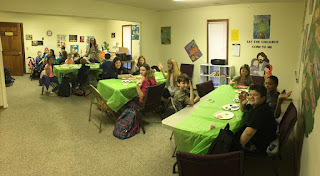 A homeschool co-op is a group of families who meet together and work cooperatively to achieve common goals. Co-ops can be organized around academics, social time, the arts, activities, crafts, service work, or projects — or a combination of these. Co-ops are generally taught by parents or volunteers. The groups range in size from a small group of three families to several hundred children. Most meet in a church, library or community center once a week from fall to spring, taking a break during the summer. Most co-ops are led by a team of 3 or more leaders. These leaders share a common goal or vision. For example, some are created as a Christian ministry, others are strictly focused on educational goals. Co-ops that are Christian ministries usually fall under a church’s administration. Families that join this type will probably be required to sign an agreement saying that you share the same vision and values. Absolutely! 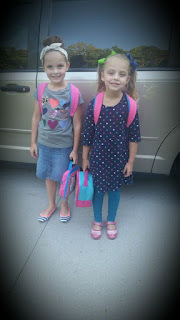 When I first started homeschooling five years ago, it was a very lonely start to our journey. I didn’t know anyone else who homeschooled. Coming out of a public school system most everyone we knew either attended public school or a Christian school. Most were not so keen on the idea of “homeschooling" for fear of the unknown :) Then, a couple years ago a read about homeschool co-ops and did some research and found some in my area. We branched out and attended for the first time two years ago. We were immediately hooked from there! We attend every Friday for a day of 6 classes broken into periods. 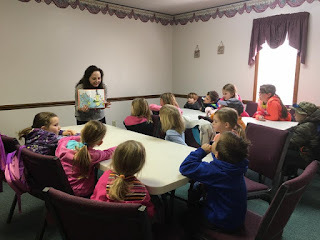 We also have a lunch break and devotions.Our co-op runs from August to November (1st Semester) with a nice long winter break, then from February to April (2nd Semester).. Our co-op is held in a local church as a ministry to homeschool families. Now, every Friday Sweet Pea and Tutti Frutti are super excited to get started with their day! They have formed many valuable friendships and have had many experiences that they otherwise would not have had without a co-op. I also teach and co-teach every semester. I enjoy the opportunity to assist other mom’s in their children’s education while many of them assist in my own children’s. 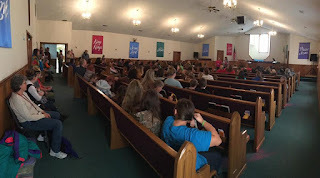 Our co-op is a large group with approximately 200 in attendance. In addition to our classes on Friday we also have opportunities to participate in field trips, talent shows, science fairs and so much more! Of course, all of these are optional but who would want to miss out??? Is a co-op right for you??? 1. Different teaching styles and perspectives – just like children have different learning styles, adults have different teaching styles. Some of the other teaching may be a perfect fit for your child’s learning style. 3. Social Benefits – children get the opportunity to meet new friends and also learn how to work with others that might have different interests. Parents also make new friends. This can be extremely valuable to offer support to each other, along with sharing ideas and curriculum. 4. Extracurricular Activities – field trips, science fairs, talent shows, community service opportunities…most of these I would not be able to offer in our home. 1. Commitment – you will need to be committed to attending your co-op. Most only meet once a week and all other activities are optional. 2. Co-ops are not for everyone...sometimes it's not a good fit for your child – even though the co-op may share your same values. Sometimes if your child does not do well with large crowds or is special needs. Where can I find a co-op in my area??? Overall, our experience with a co-op has been very positive and inspiring. We hope to continue attending for many more years! Do you attend a co-op? Leave any questions, comments or suggestions. I would love to hear your thoughts!